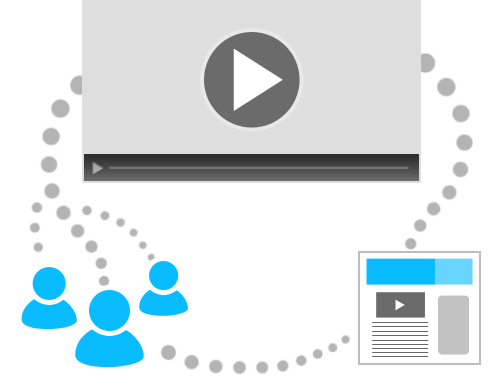 Video optimization is a pivotal part of your SEO Campaign. If you are looking at an SEO Company in Los Angeles that doesn’t offers these services you are probably looking at utilizing the wrong vendor. Video optimization and creation is a great way to provide informative information about your business as well as establishing high quality links to your website. Video optimization is an important aspect of the SEO process since image and video content have become increasingly popular with the online visitors and the search engines. Major search engines like Google and Bing tend to rate the video content higher than the typical text based content. This trend has also seen a gradual growth due to the advent of the social media platforms and video sharing sites that enable easy sharing of video content, connecting millions of online users. Integration of video content and images on your website can play a significant role in attracting the key visitors or driving a targeted traffic to your website, which can result in a higher conversion rate and ROI for your business. From an SEO perspective, the concept of video integration and search engines optimization is also important, since the search engines rank higher, the authentic and interactive multimedia rich content. Video content is given preference over the textual content in the search engine results, as the visitors tend to click video links and are more interested in the multimedia rich information. Google and other popular search engines keep releasing updates to their search algorithms that incorporate latest developments and techniques that help in better positioning in the search results and identifying the effective multimedia content. At Noxster we have different levels of video production services. Each basic package includes video optimization and creation; however the extent and quality of the video will be dependent on the marketing budget. There are various packages in the video optimization services that are offered by Noxster a premium SEO Company Los Angeles, including the video links placement, tagging, video metadata optimization, video snippets optimization and video advertisements. Our Los Angeles firm has an experienced team of SEO experts that provide the customized video optimization solutions to the customers, including the video marketing solutions and optimization services. The optimization services provided by the team help in achieving the high rankings in the search results and generating higher revenue. The team optimizes your video content and helps to promote your website or blog by sharing video links on the social networking sites like Facebook, Twitter and LinkedIn. Videos are also posted on the video sharing platforms like YouTube and MetaCafe. This helps in better marketing of your website, eCommerce Store or blog. Optimizing video content requires placing proper keywords in video names, using proper video tags and video link optimizing. SEO experts at the firm help identify the relevant keywords that define your core business area and include them in your video content. Tagging the video content properly is also important from an SEO perspective, as this makes the multimedia- content, search engine friendly, enabling it to rank higher in the search engine results. Use of the video links and proper link sharing is important for attracting the targeted visitors to your website or blog. This requires identification of places on the internet where it is best to share video links for effective marketing and promotion of your content. The experts at the Los Angeles firm help in identifying the suitable places on the social media platform and elsewhere on the internet, to place the video links of your content to ensure productive promotion.